This blog is in Italian. Use Google Translate to help yourself to get an idea of the efforts of these brothers. A rare site with comments on the sites in the link section. Things mystic with Mufti Ebrahim Desai (DB) caliph of Mufti Mahmood-ul-Hasan Gangohi (RA) caliph of Shaikh-ul-Hadis Maulana Zakariya Kandhalwi (RA). One of the many sites representing benefits of Hazrat Shaikh Yusuf Motla Sahab (DB) caliph of Hazrat Muhammed Zakaria Kandhalwi (RA). Get answers to questions related to Islam from the Scholars lead by Mufti Siraj Desai, Port Elizabeth, South Africa. Answers to questions related to Islam by Mufti Ebrahim Desai (DB). Courses, resources, question and answers and more from Birmingham, UK. For book men ( and women) (as opposed to bookworms). Especially Arabic and English. 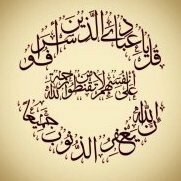 Remembering religion, beloved Prophet (PBUH), hereafter, the People of Allah and Islam as a way of life. Use the inspiring spoken word in the original, that is, sound form to learn and refresh your faith. Part of the site Shariah Program. The famous exegesis of the Holy Qura'n by Hazrat Aqdas Ashraf Ali Thanwi (RA) is the focus in above link. Very useful links. All of them are great sources of learning. Can you also share some good and authentic books on Islam? Just wanted to share that fatwaa.com (website of Mufti Ismail Moosa HA) has become alive again.